We we went riding at a old dirt track area in alabama on saturday. This place had a good track and 8 to 10 miles worth of trails to ride on. The owner only charges 10.00 per bike and is opened 9 to dark. I would recommend this riding area to anyone. I need to start taking a camera with me. We had a great time, even when it rained. The Official Good morning thread! Good morning to all !!!!!!!!!!!!!!!!!!!!!!!!!!!!!!!!!!!!! Let's see if we can make this a daily event. LOCK HAVEN — Due to a hard-fought change in the state’s fiscal code, Clinton County will finally have an all-terrain vehicle trail connecting the Whiskey Springs Trail to Bloody Skillet by 2020. 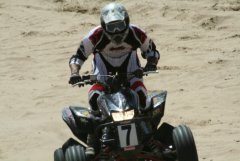 State Rep. Mike Hanna (D-Lock Haven) had a hand in pushing the legislation through, said county Commissioner Jeff Snyder, who has been supportive of ATV tourism in the region. Hanna said the project had been in the works since the era of former Pennsylvania Gov. Ed Rendell, who ended his term in 2011. “We just decided it was time to get this,” he said. 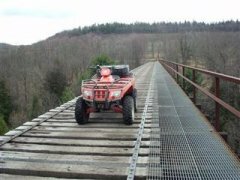 The amendment also provides for DCNR and PennDOT to “implement the full Northcentral Pennsylvania ATV Initiative” which would create a network of ATV trails from Clinton County to the New York State border by April 1, 2024. This network would link the Haneyville, Bloody Skillet, Snowshoe Rail Trail, Denton Hills and Whiskey Springs trails. Central Mountains ATV Association President Henry Sorgen IV said his organization has been working on the initiative for the last four years, trying to connect all the ATV trails in northcentral Pennsylvania up to the New York State border. The organization has 1,300 members. Sorgen said Hanna and State Sen. Joseph Scarnati (R-Brockway) were instrumental in making the necessary changes to the fiscal code. But, he said, it wouldn’t have been possible without support from township and borough councils, county government, regular citizens and CMATVA. “It’s always been a team initiative,” he said. 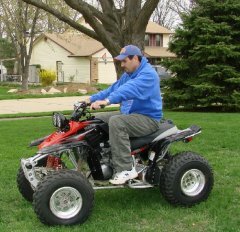 PennDOT has a policy that ATV riders cannot use state roads. But state law says the district manager can authorize ATV usage on state roads. So, Sorgen said, the fiscal code amendment is a way to remedy that contradiction. Hanna said the project will rely very little on state roads to connect the trails. DCNR is conducting a study through Larson Design Group to determine the best way to connect the trails without using state roads. One place ATV riders will have to use a state road is the South Renovo Bridge, Hanna said. Hanna was clear that the development of these trails will have no cost to taxpayers. “As far as trail development goes,” he said, it will all be funded by ATV registration fees. Right now, there are around $180,000 in that fund, said Sorgen. ATV tourism is a $1 billion industry in West Virginia, and Hatfield McCoy is one of the state’s most popular trails. Sorgen said he is sure ATV tourism will be a boon to local residents in Clinton, Center, Potter, Elk and Cameron counties. In Germania, which is near the Denton Hills ATV Trail, he said, there is a small general store with one gas pump that used to make $1,000 a month in gas sales. After ATV travel was legalized there, the store’s monthly sales skyrocketed to 10 times that. 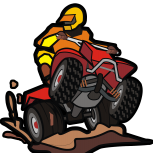 And, according to a study on ATV recreation in Clinton County done in 2015, the average rider spends approximately $1,400 in the county annually. Those surveyed said they would visit about five more times a year (about 12 times total) if connector trails were built between the existing trail systems and the surrounding communities. The study said increased visits would more than double the annual spending per rider. Right now, Sorgen said, there are 1,800 miles of riding trail, and 49 percent of that is open to ATVs, whether that be on roads operated by DCNR, private property owners or township councils. But that is set to change soon, with the new state fiscal code amendment. Sorgen estimated the new law will add 200 miles of viable trail. And, he said, the existing CMATVA map will change once they submit the new map to PennDOT. Hanna said for people who have concerns about motorized recreation, the Larson Group study is taking environmental impact into consideration. “It’s not just “slap a trail on,“” said Hanna. And Sorgen said he fully supports finding an environmentally friendly way to implement ATV trails that would connect the existing ones. 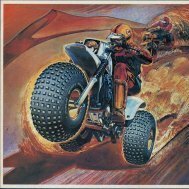 He lamented that while “98 percent of us want to follow the rules,” 2 percent of ATV riders don’t respect the land and want to offroad where it’s not allowed. With Google's latest search changes, they require that sites have a mobile layout and will penalize search rankings if they don't. We have created a mobile version of the forum only at this time, because it receives the most traffic. There is a drop down at the bottom of the forum and you can choose the layout or click here to check it out. The site should automatically detect mobile devices as well. At the top of the mobile style, there is a link to go back to the default style as well. Been riding for years, but on borrowed bikes...But.. Hello all just wanted to say hey !